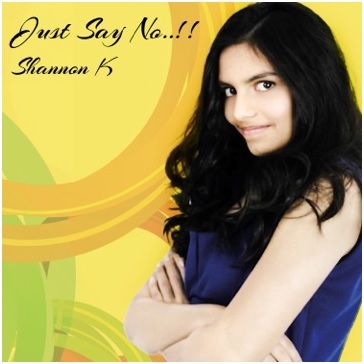 With a thought provoking set of lyrics written by her nine year old sister Annabel, the new single from Shannon K was inspired by lessons the siblings were taught in school in relation to drugs. Having been made aware of the dangers of drugs in school, the pair decided to compose a song together – written by Annabel, performed by Shannon – which would raise further awareness of the issue. Produced by David Tyrrell and mastered by Award winning engineer Tim Hamill at a studio in Wales, the song is an upbeat, infectious tune designed to carry the positive message of staying away from drugs. It comes as little surprise that the two young girls carry such musical talent – their father is legendary Bollywood vocalist Kumar Sanu, who makes a guest appearance on the single himself. A glittering career as a vocalist in Bollywood has seen him win a total of 69 awards including 64 in his native India (from Filmfare, Zee Cine, Kishore Kumarand more) plus 5 internationally (from Sunrise Radio-London, West Indian Academy, Grammy-West Indies, Bollywood Music-U.S.A. and Radio Lotus-South Africa). However, with two talented up and coming daughters who share his passion for music, perhaps in time even his own sizeable list of achievements will be eclipsed.